The Coritanian men's road squad shone on what must have been one of the worst days of the year as far as the weather was concerned with driving rain, high winds and low temperatures. 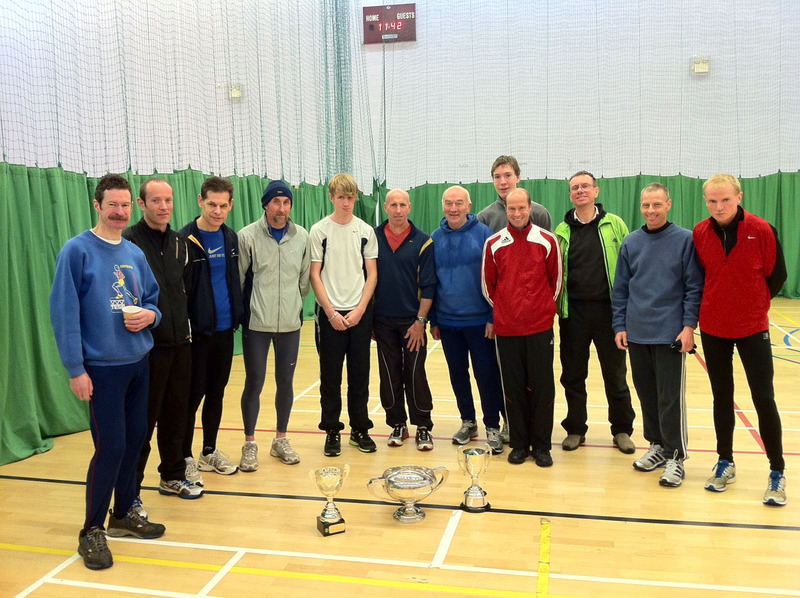 They won all the male age categories at the England Athletics East Midlands road relay championships held in conjunction with the Livingston road relays at Braunstone Park on Sunday April 29th. The idea was to select a masters team strong enough to defend the masters trophy , which they had held for the past six years and then juggle the rest of the squad to give as strong as possible teams in the Seniors and U20's. In what can only be described as the worst weather conditions possible Ashley Sabin covered the first leg, for the seniors, in a time of 15.13, to record the fastest time of the day and hand over a comfortable lead to Nigel Stirk who ran 15.51. At end of the second leg Coritanians were 400metres up but knowing that North Derbyshire had a very strong second half running order, Derek Guess ran the third leg in 17.06 to enable Dave Pearce to control the race from the front on the last leg and triumph with a seven second advantage in a time of 17.28. The U20's were never really troubled and were able to run out as comfortable winners in their age category. Elliott Hart was the fastest U20 on the day recording 16.06 and gave the best possible start to William Rawlinson 18.25, Harry Thompson 17.52 and Phillip Maddocks 17.31, the last three all making their event debut. The masters, relying on a wealth of experience with Gareth Deacon 16.37, Andy Hart 17.25, Rob Sheen 17.06 and Danny Keating 16.51 easily saw off an early challenge from Desford Striders, to close in and lift the title for the seventh consecutive year with a combined time of 67.59. The senior ladies took third place medals, behind Charnwood and Barrow, after Chloe Morris led them off in 20.37 to hand over to Jo Bradford, their quickest runner on the day, who recorded 18.32. passing on to Freya Vincent 20.42 for a combined three leg time of 59.55. New Masters recruit! Megan Sabin warming up for a jet propelled performance at the 2028 Olympics!